This slideshow features 9 realities that we believe will strongly impact your role in the year ahead. Is that seemingly qualified, trustworthy individual you want to hire really safe to hire? 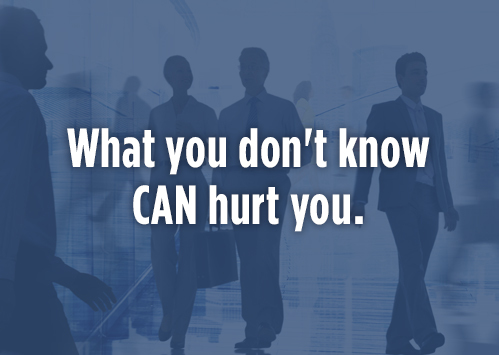 Can you really know for sure? 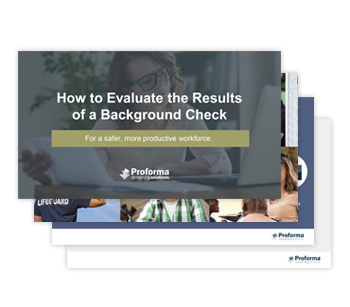 Companies use background checks to inform and improve the quality of their hiring decisions. 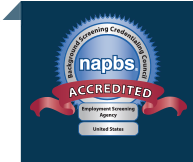 However, many are unsure exactly how to evaluate the results of a background check report, especially how to handle a “negative” background check. 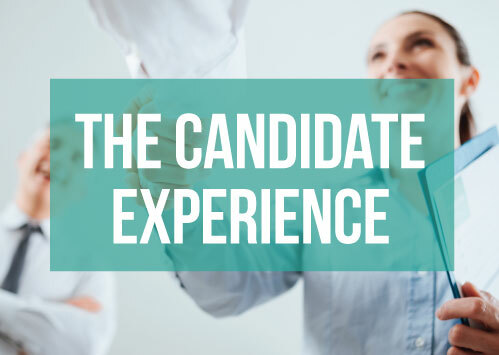 [SlideShare] The Candidate Experience: What Helps? What Hurts? When you’re hiring, you want to maintain as much of a competitive edge as when you’re marketing for new customers. Since your employees are your internal customers, they deserve to have a great experience working with you from the very beginning - including the application, screening, and selection process. By including HR threat assessments as part of your risk management program, your organization could predict, prevent, and mitigate damage from any human capital threat. Your driver represents your company. Everything he or she does in or around a vehicle with your name on the door reflects on you. 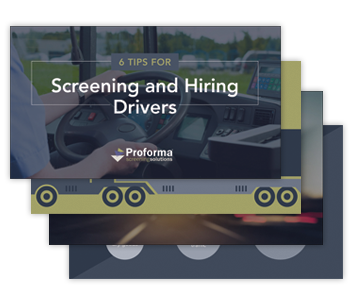 This slideshow summarizes important factors employers should consider in hiring a driver. 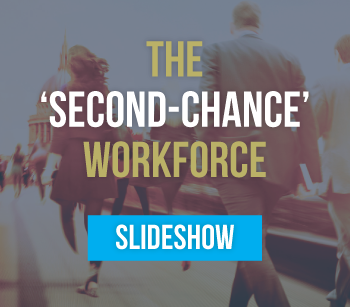 Our slideshow on hiring ex-offenders describes how you can use background screening in compliance with applicable laws to thread the needle between risks. 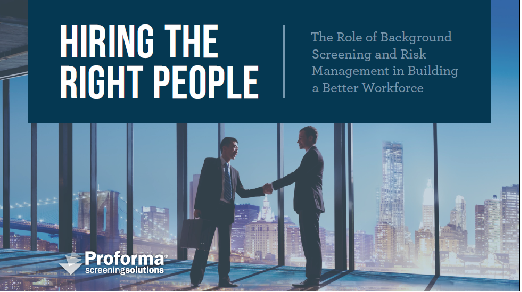 Finding and hiring the right people for your organization requires a strategic approach to background screening and risk management. Learn more in this presentation. 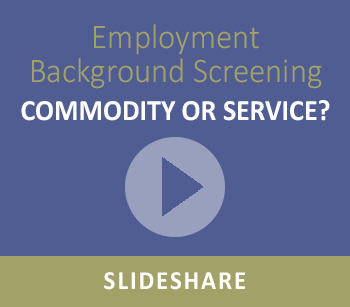 Is background screening a commodity? Your answer to this question may impact how your organization competes in today's talent-driven economy. In case you missed our webinar on June 12, 2012, watch the instant video replay here. This webinar is part 1 a series that discusses the triple threat of EEOC and FTC regulation, state and federal legislation, and private party litigation in the context of corporate employment background screening programs. 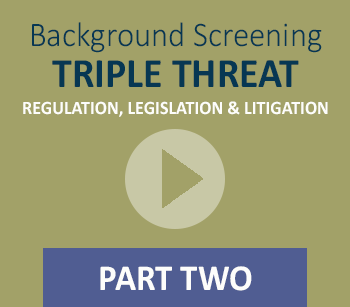 Our June 19, 2012 webinar was part 2 in our two-part series on the triple threat of EEOC and FTC regulation, state and federal legislation, and private party litigation in the context of corporate employment background screening programs.